FINANCE FOR SMALL BUSINESSES – WHAT ARE THE OPTIONS? As businesses look to accelerate their growth plans now that all the general election hype has passed and the economy continues to strengthen, SMEs are still finding it a challenge to source the finance they need. The government is taking steps to help SMEs through measures which will be implemented next year as part of the Small Business, Enterprise and Employment Act. However, firms need to stay abreast of all the available finance options. Bank loans and overdrafts –These are traditional forms of lending that can be usually difficult for small businesses to obtain due to the strict due diligence checks that lenders impose. Although banks are stepping up support for SMEs, many of the products available such as a loan or overdraft require a personal guarantee to borrow against. Peer–to-peer lending –P2P lending has grown in popularity as a form of lending for businesses and is an alternative form of finance that provides access to unsecured loans. Many of these lenders compete in an online space and are much more open to offering a loan to small firms based on a short-term risk assessment – hence, they can be more straightforward to secure than a traditional bank loan. 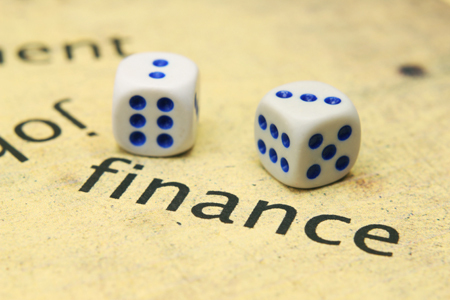 Invoice finance – Invoice finance is often overlooked as a means of gaining access to finance. Invoice finance companies provide businesses with the cash they need upfront, based on the value of any unpaid invoices, minus a small fee for collecting the debt. This means that instead of having to wait 90 days to receive payment for the invoice raised, businesses can unlock the cash they need straightaway. There are two types of invoice finance – ‘factoring’ is where the invoice finance provider collects the money from customers directly, and ‘discounting’ which allows the business to handle all the correspondence themselves. Business angels/ venture capitalists – Essentially the Dragon’s Den route where wealthy individuals offer business owners a large sum of their personal cash – the investment is usually in the region of £100-500k in exchange for a share in the business.